Somehow I lost all of my post for today... so it's a quick post. Today we are focusing on a technique and it's called "3 in a row". Our main blog gives detailed information about this so feel free to pop over there to check it out! For this post I used Midnight Muse, Real Red and Crushed Curry... thanks to the Color Coach I came up with this bright and cheerful combination! The Color Coach is my best friend! 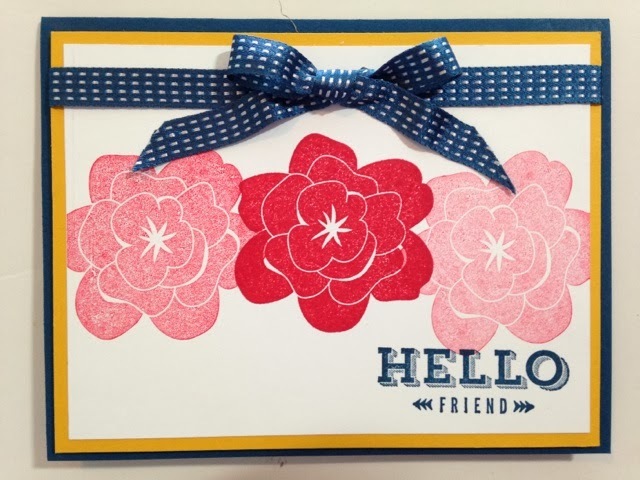 I used two stamp sets, Simple Stems for the flowers and Peachy Keen for the sentiment! Thanks for checking out my blog and come back tomorrow for more inking fun! Love this card! 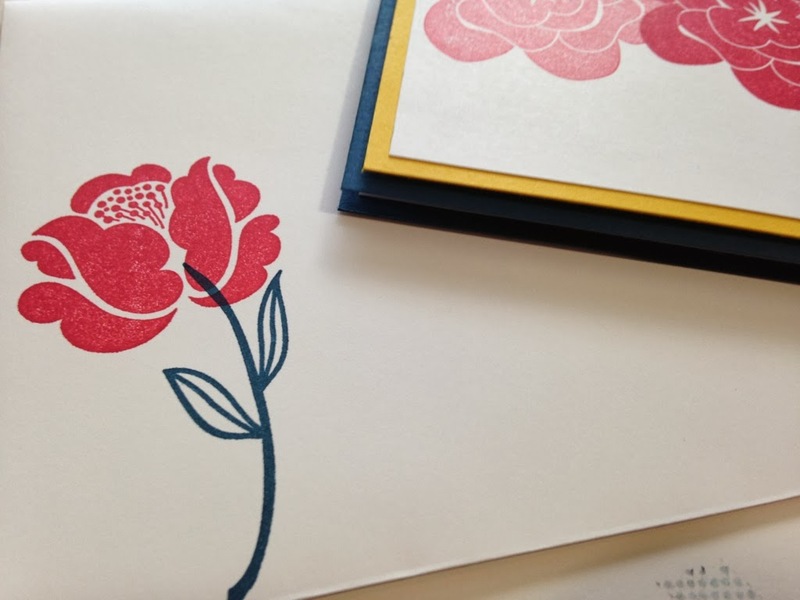 The color combination and flower stamp! SO CUTE!! !